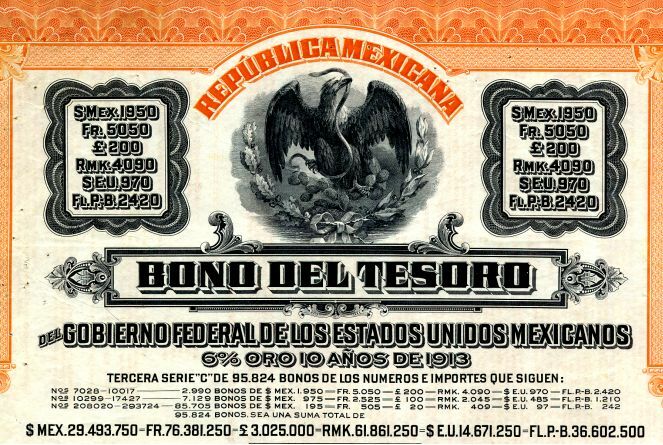 Beautifully engraved uncancelled certificate from the Republic of Mexico issued in 1913. 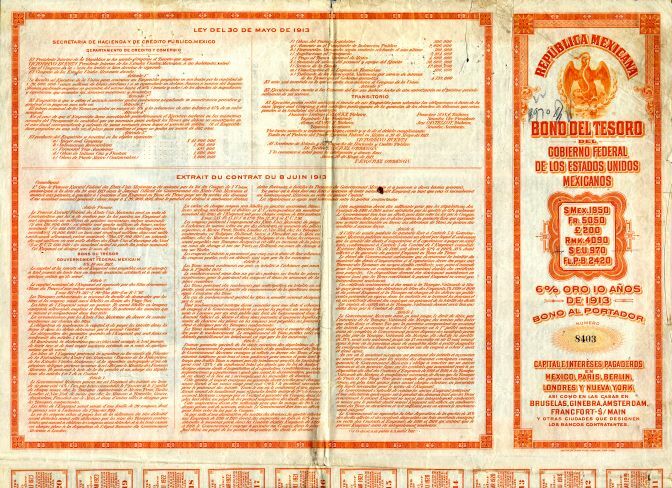 This historic document was printed by the American Banknote Company and has an ornate border around it with a vignette Coat of Arms of Mexico in middle with different currency amounts on left and right. This item has the signatures of government officials and is over 96 years old. Unused coupons attached. PASS-CO Certified. 1950 Pesos - 5050 Francs - 200 Pounds Sterling - 4090 RMK - $970. Serie C 6% Gold bond. Orange border and underprint.